The speaker was Professor Archie Brown. The BEARR Trust Annual Lecture was kindly hosted by the European Bank for Reconstruction and Development (EBRD), One Exchange Square, London EC2A 2JN, at 6pm on 10 June 2014. For a summary of the lecture, click here. 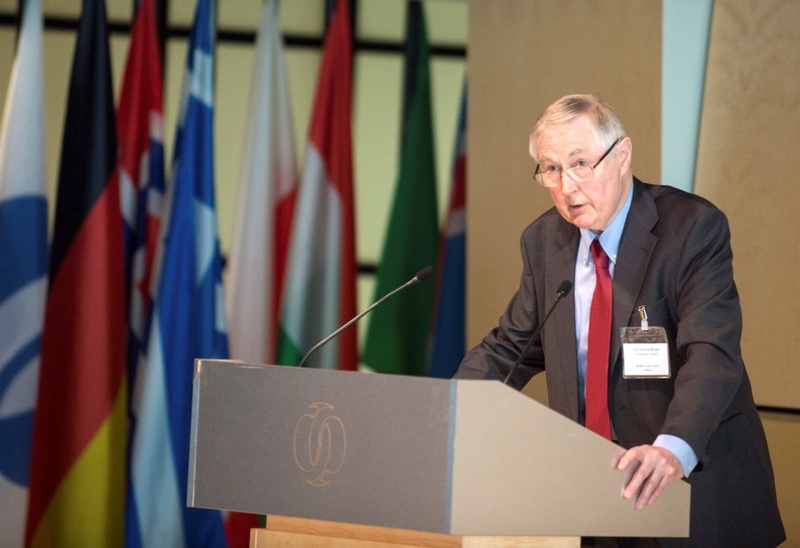 Archie Brown is Emeritus Professor of Politics at Oxford University and an Emeritus Fellow of St Antony’s College. His numerous publications include The Gorbachev Factor, Seven Years that Changed the World: Perestroika in Perspective, and The Rise and Fall of Communism. His latest book,The Myth of the Strong Leader: Political Leadership in the Modern Age, was published in April 2014. A fuller biography is below. The BEARR Trust is a UK-based organisation set up to help children and other vulnerable and disadvantaged groups in Russia, Eastern Europe, Central Asia and the South Caucasus. We believe the best way to do this is to help small NGOs in the region to build knowledge, know-how, skills and contacts including with those doing similar work in the UK. 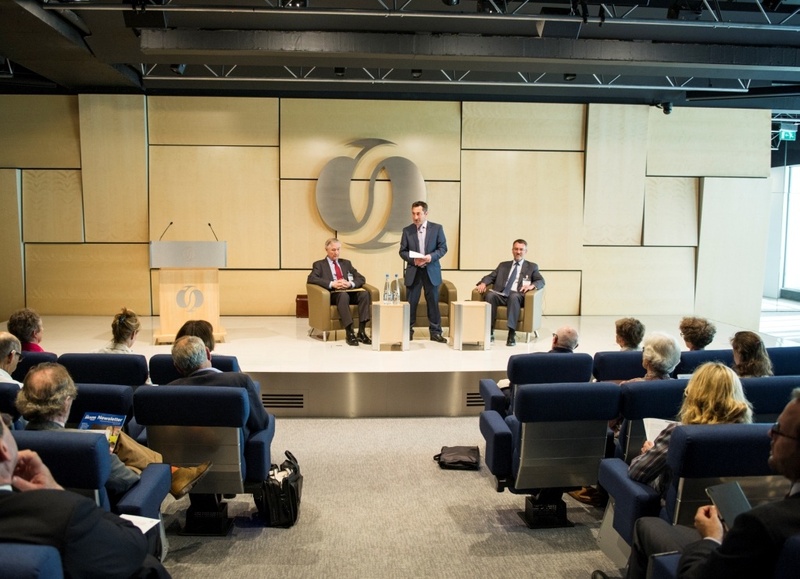 The EBRD works to build democracy and to bring sustainable prosperity to peoples and countries in Central and Eastern Europe and Central Asia. The annual lecture is The BEARR Trust’s main fund-raising event of the year, and guests are invited to make an advance donation of £25 per person. All proceeds go towards BEARR’s work to support health and welfare and to strengthen civil society. Archie Brown is Emeritus Professor of Politics at Oxford University and an Emeritus Fellow of St Antony’s College. His numerous publications include The Gorbachev Factor (Oxford University Press, 1996) which was awarded the W.J.M. Mackenzie Prize of the Political Studies Association of the UK for best politics book of the year and the Alec Nove Prize from the British Association for Slavonic and East European Studies for best book on Russia, Communism or post-Communism; Seven Years that Changed the World: Perestroika in Perspective (Oxford University Press, 2007); The Rise and Fall of Communism (Bodley Head, London, 2009; Vintage paperback, 2010), for which he received for a second time both the Mackenzie and the Nove prizes; and, most recently, The Myth of the Strong Leader: Political Leadership in the Modern Age (Bodley Head, 2014). His many visits to Soviet and post-Soviet Russia included the academic year 1967-68 which he spent as a visiting scholar in the History Faculty of Moscow University under the terms of the Anglo-Soviet Cultural Agreement. Archie Brown has been a Visiting Professor of Political Science at Yale, the University of Connecticut, Columbia University (New York) and the University of Texas at Austin, and was Distinguished Visiting Fellow at the Kellogg Institute for International Studies, University of Notre Dame, Indiana. He was elected to a Fellowship of the British Academy in 1991 and to Foreign Honorary Membership of the American Academy of Arts and Sciences in 2003. He was appointed CMG in the Queen’s Birthday Honours List of 2005 ‘for services to UK-Russian relations and the study of political science and international affairs’.